Sigma allows you to define a value that can be easily viewed and easily changed as needed. The totals bar in your Worksheet can be used to set values that can then be referenced in calculations throughout your Worksheet. 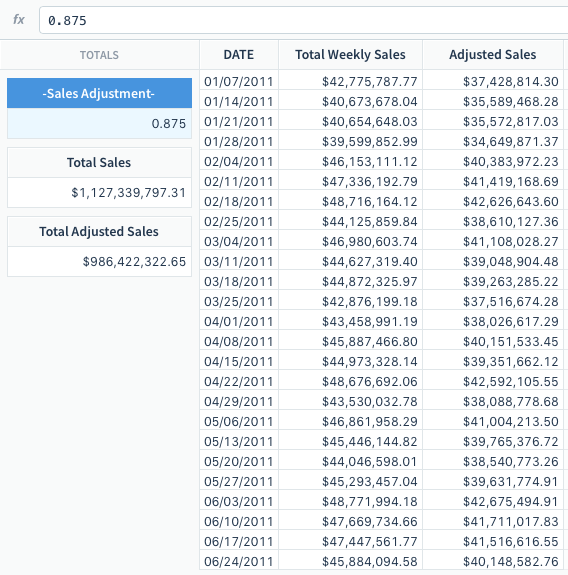 This allows you to define a value that can be easily viewed and easily changed as needed. Select “New Total” from the top Tool Bar. Rename your value. You may want to use a naming convention that sets your entered values off from calculated totals. Reference you value throughout your Worksheet the same way you reference other columns in the Worksheet.